Above photo, circa 1904-14, kindly sent by Peter Moynahan. Above image from Google 2014. There is also a "Newington near Hythe." Whitstable Times and Herne Bay Herald 12 February 1910. The Licensing Sessions for the Sittingbourne Division were held on Monday, before Messrs. R. G. E. Locke (chairman), G. H. Dean, R. Mercer, T. E. Denson, H. Payne, C. Ingleton, J. Copland, W. R. Elgar, H. L. Webb, and W. N. Rule, and Lieut.-Colonel Thompson, C.I.E. In the past year 170 persons had been proceeded against for drunkenness, 42 being residents. This was a decrease of 17 compared with the return of the previous year. The Chairman remarked that the report was very satisfactory. The Justices. he said, had been pursuing their policy of reducing the number of licenses,. and had referred four houses to the Compensation Authority. 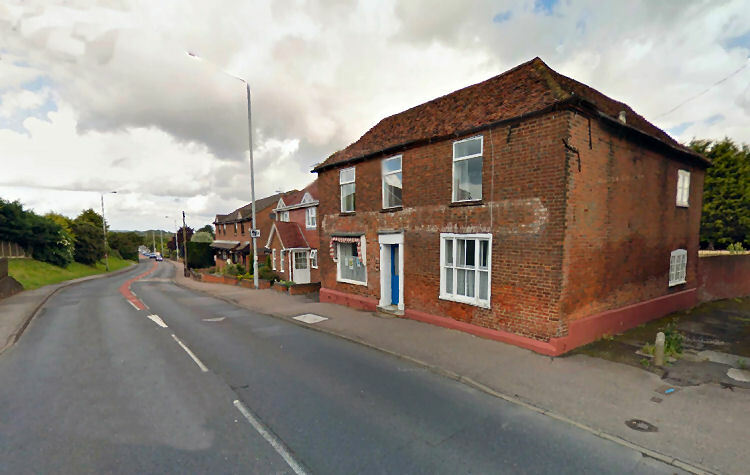 The four houses were the "White Hart" and "Sir John Falstaff," Newington; and the "Jolly Gardeners" and the "Woodman's Arms," Rainham. With these exceptions the whole of the licenses were renewed. Whitstable Times and Herne Bay Herald 12 March 1910. FOUR LICENCES TO BE REFERRED. At the adjourned licensing sessions on Monday, Mr. R. G. E. Locke in the chair, formal evidence as to accommodation and the class of trade was given by Superintendent Crowhurst in the eases of the "White Hart" and "Sir John Falstaff," Newington, and the "Jolly Gardeners" and "Woodman's Arms," Rainham, the licences of which houses had not been renewed at the Licensing Sessions a month ago. Mr. A. Booth Hearn (Chatham), representing the owners (Messrs. Shepherd, Neame and Co.) and the tenant of the "White Hart," Newington, applied for the renewal of the licence. Formal application for renewal of the licences was also made in respect of the other three houses. The Bench, however, decided to refer all four licences to the Compensation Authority. From the Whitstable Times and Herne Bay Herald, Saturday, 19 November, 1910. EAST KENT LICENSING COMMITTEE. SUPPLEMENTAL MEETING. 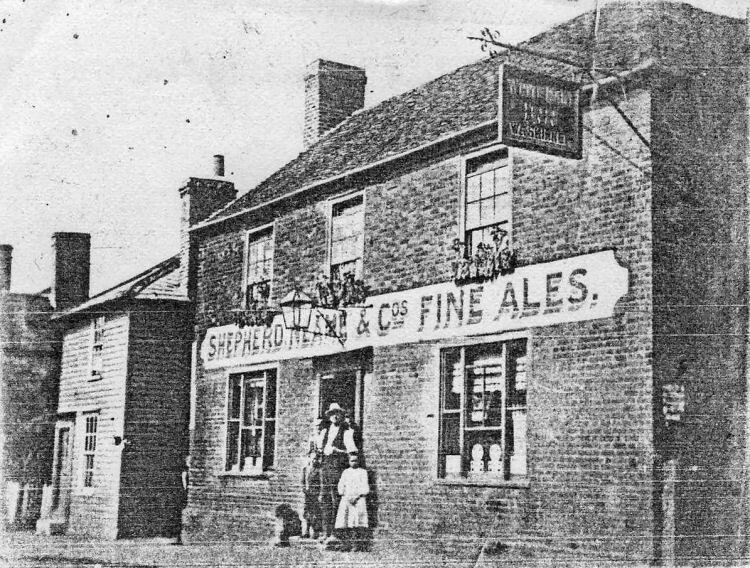 The "White Hart," Newington, an alehouse, owners Messrs. Shepherd, Neame and Co., Faversham, tenant Mr. William Albert Skinner, in which the agreed total amount was £809 10s., to be divided as follows: owners £684 10s., licensee £125.